Saint Meinrad Archabbey is a peaceful and spiritual place with beautiful grounds and the opportunity for prayer with the Benedictine monks. 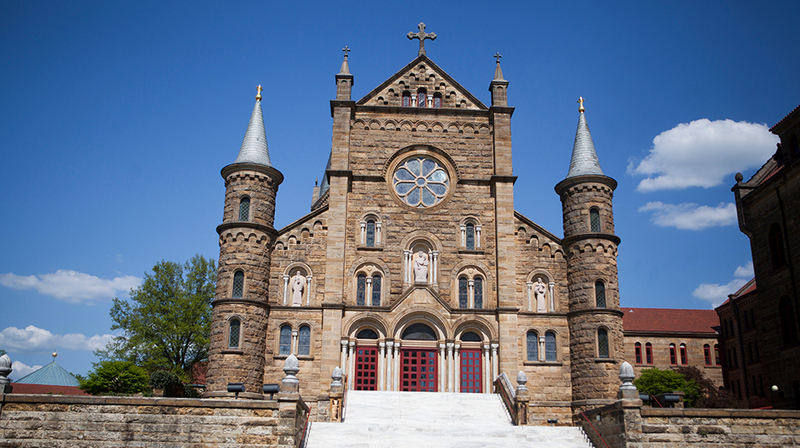 Founded in 1854, the Saint Meinrad Archabbey is one of only two archabbeys in the United States and one of 11 in the world. Today, more than 80 monks of this Benedictine community still live by the Rule of St. Benedict, and the motto ora et labora (pray and work). 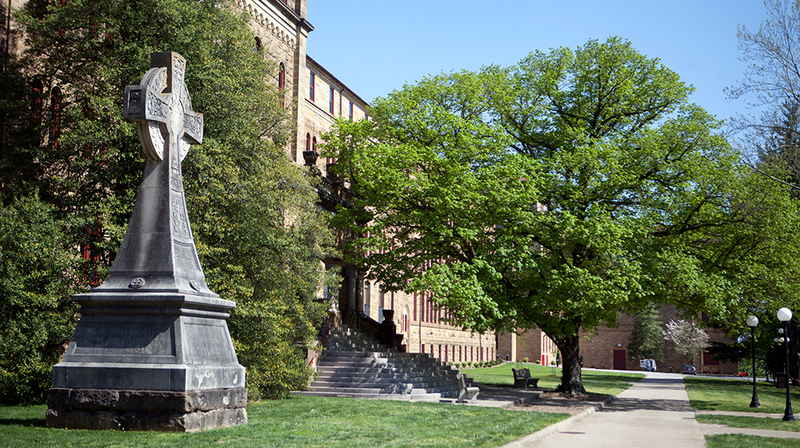 One of the primary works of Saint Meinrad has been the education of future leaders of the Catholic Church. 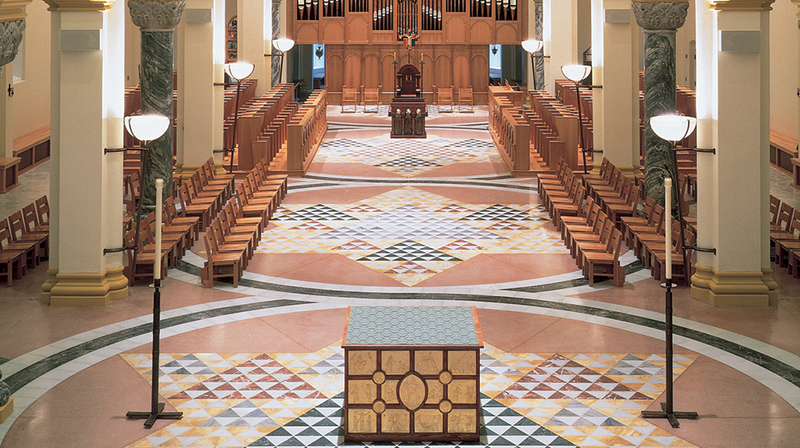 The monks operate a Seminary and School of Theology, which offers education and formation for priests, permanent deacons and lay ministers for the Roman Catholic Church. 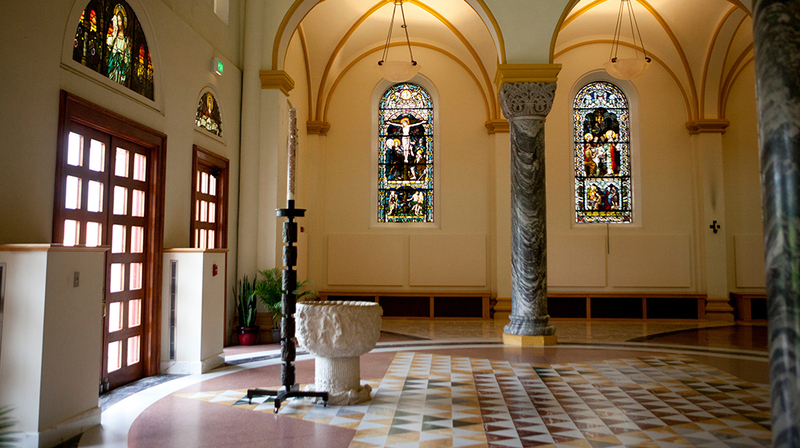 Guided tours of the Archabbey are available on Saturdays at 1:30 pm Central time. Self-guided walking tours are also available, and group tours can be arranged with advance notice. Don’t forget to visit the Archabbey Gift Shop for religious and inspirational gifts. 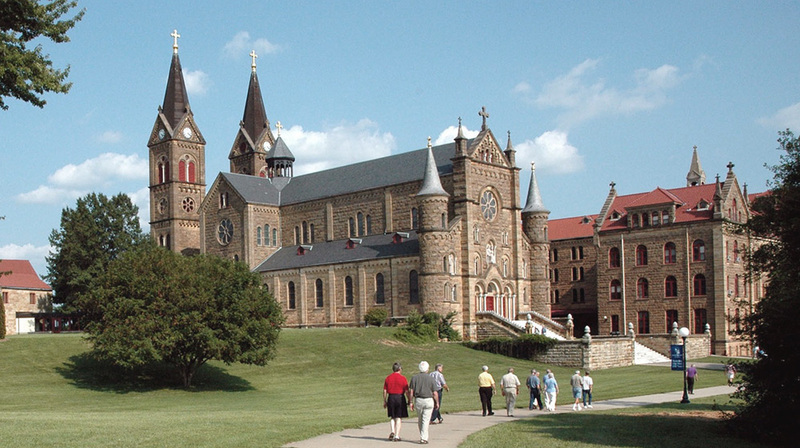 The Saint Meinrad Archabbey is located on Highways 62 and 545 in the town of St. Meinrad, Indiana. 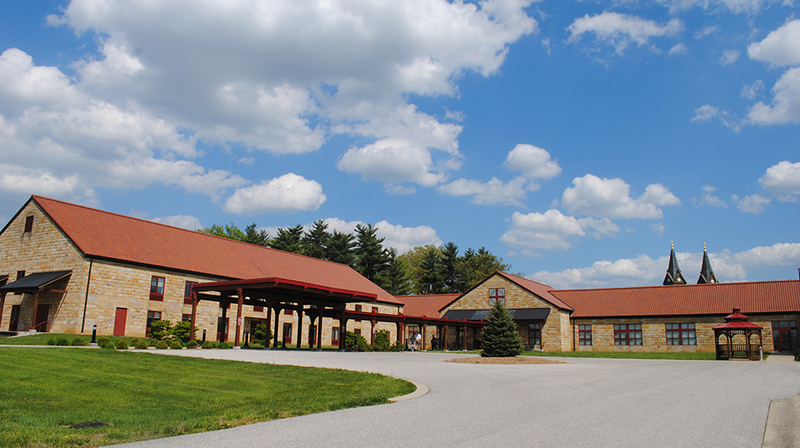 The Saint Meinrad Archabbey Guest House is located on site and available for out-of-town visitors. 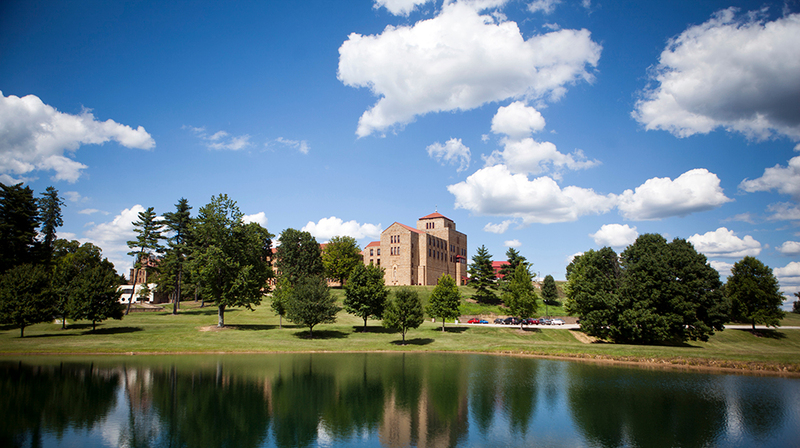 On the map below, you'll find Saint Meinrad Archabbey, as well as a few of the lodging, dining, and activities that are close by.